Serum No. 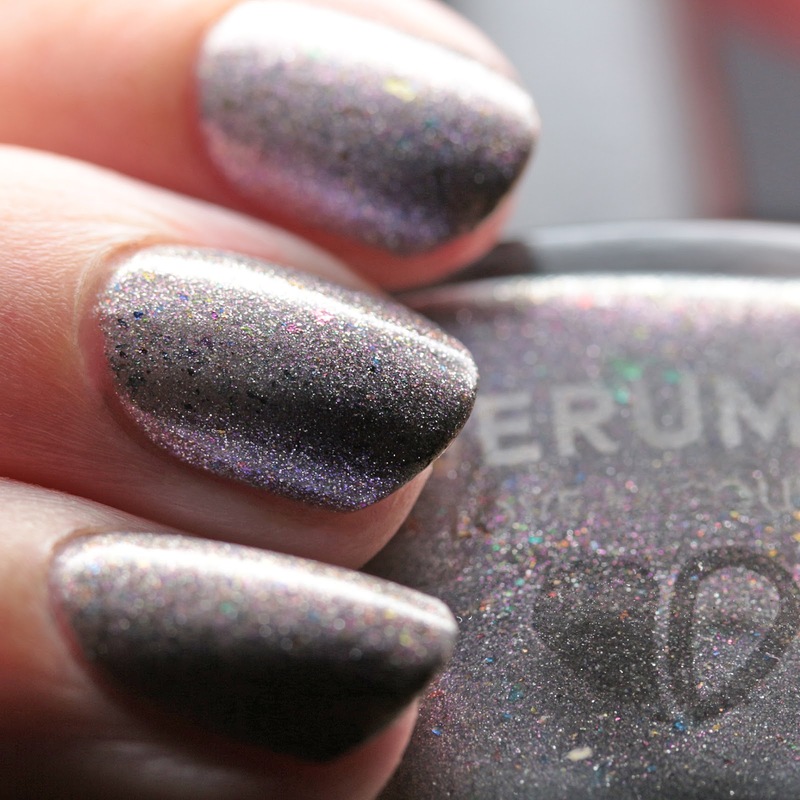 5 Cosmic Ray is a medium gray thermal that brightens with warmth, and has silver and purple-to-green multichrome shimmer along with multichrome flakes. I wore it in three thin coats and it had a perfect, fast drying formula. It dries matte and smooth, but I wore it with top coat. 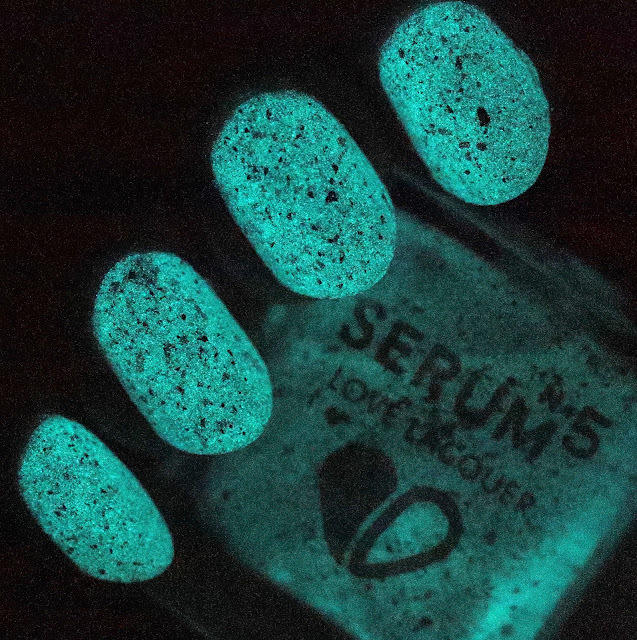 It also glows in the dark, with an aqua glow! Sales capped at 250 bottles. Here is the glow! I love how the flakes give it a speckled effect. Serum No. 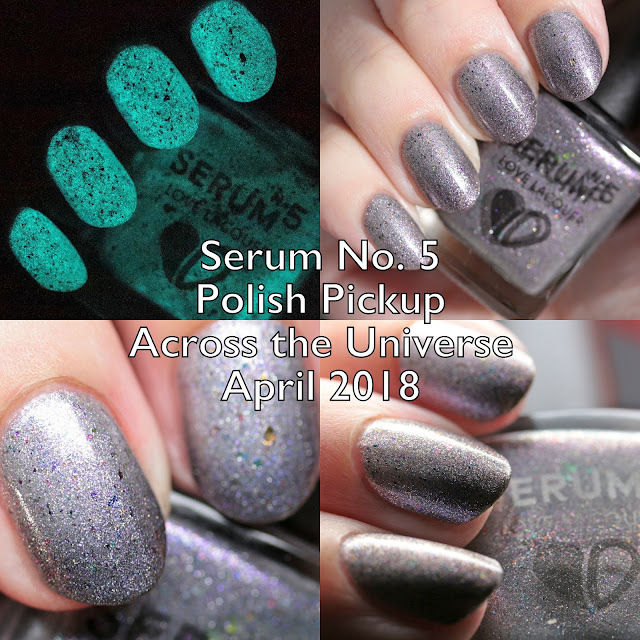 5 Cosmic Ray is for sale right now and the Polish Pickup store will combine your shipping if you want to go back for another order. This month the theme is Across the Universe and it is open until April 9 at 11:59PM. I love all the effects combined in this one - multichrome, flakes, thermal, and glow in the dark. And with a fantastic formula to boot!